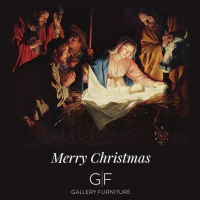 Merry Christmas from the Gallery Furniture and Volunteer Houston family! Take the time to enjoy the holidays with your family and friends as you make tomorrow special, it’s what the season is all about. God Bless!